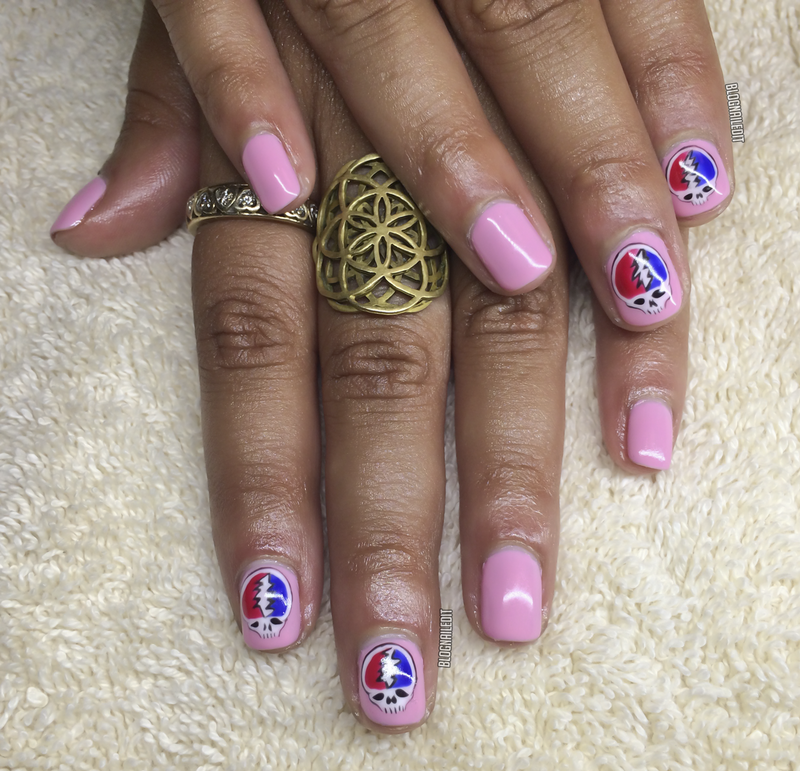 I don't often share nail art I've done for clients here on the blog, but my client Monica and I were so happy with these little tributes to Grateful Dead album art from Steal Your Face, that I just had to! Monica wanted the little skulls to last, so we did everything in GelColor by OPI. The pink is Suzi Shops and Island Hops, the red is Big Apple Red, and her blue is OPI...Eurso Euro. The accents of white are Alpine Snow and black is Black Onyx. All in all, the nail art took about an hour. If it weren't closing time at the salon, I would have done all 10 fingers, but her "peace" fingers worked out beautifully in the time we did have. If you'd like to get nail art with me, book an appointment with me at St Julien Hotel & Spa in Boulder!